Just like a superlight carbon race bike, what makes Atomic's new Redster S9 Carbon Skate special is its acceleration. It will blow you away - and the competition. One secret is the new V-shape sidecut Atomic has created with a narrow tail and wider tip that catapults you forward. This top Atomic skate also has a Carbon Race Monocoque construction, making it even lighter and stronger with more direct power transfer for a faster glide. Then Atomic's Atomic Race Profile with optimized thickness curves gives you control and stability in all conditions. The weapon of choice for Atomic's top athletes. BI 5000 + WC Grinding: Performance cold base with 25% carbon. All Atomic skis have high-quality bases. 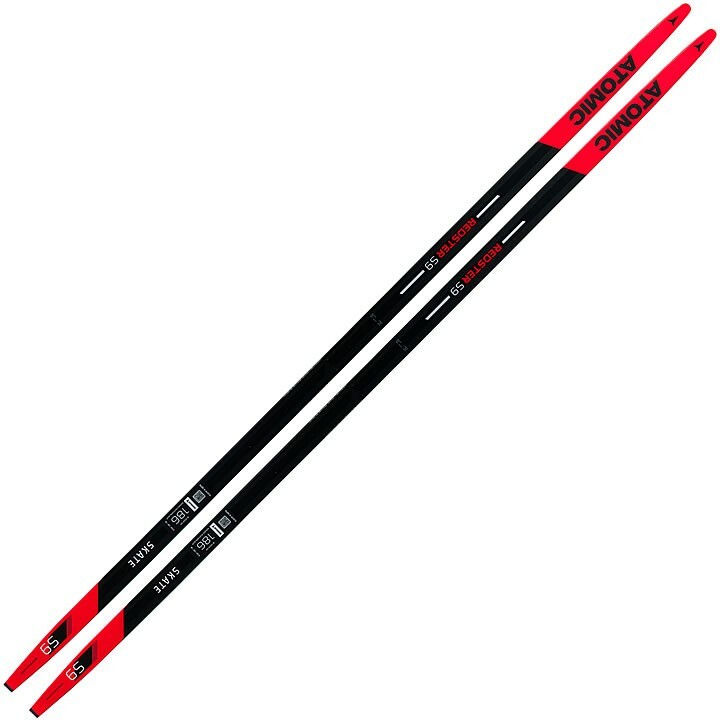 These are fast on every snow, can stand up to everything and are easy to maintain. V-Shape Sidecut: Sidecut with a narrow tail and wider tip. For even faster acceleration on every terrain and snow.